I think teaching longitude, latitude, and general map skills to students is important. Last year, my 4th graders really struggled with the longitude and latitude coordinates when finding absolute location. When I compared the lines to a game of Battleship, the fog cleared. In order to really make the connection clear, my students brought their Battleship games to school. I brought the maps. 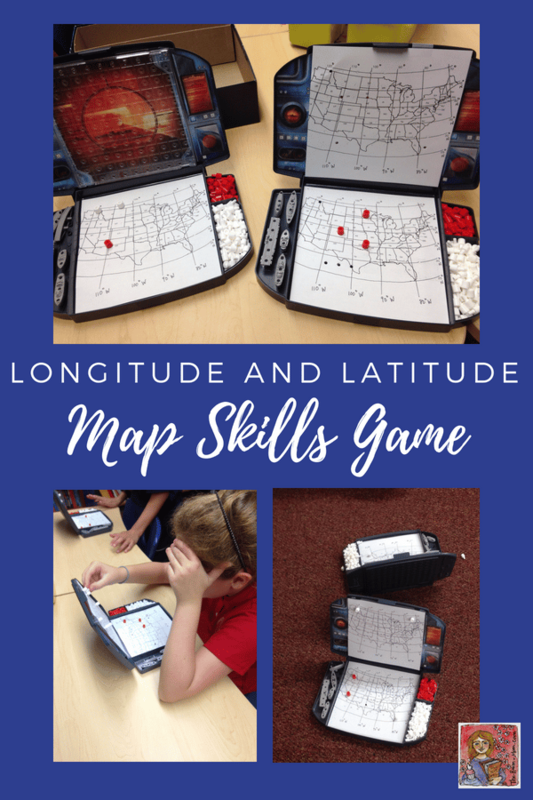 We attached the United States maps with longitude and latitude lines on the Battleship game boards and played a version of map skills Battleship. The students received more practice finding locations on a map. They had a chance to call out an absolute location as well as pinpointing two coordinates a partner might give them. It reinforced state locations and reviewed some math skills too (estimating a number between two points and coordinates on a grid). My history curriculum focuses on North America, so I used a United States map. You could create your own game board with other maps as long as the map is 6″ x 6″ (link below for my U.S. map). 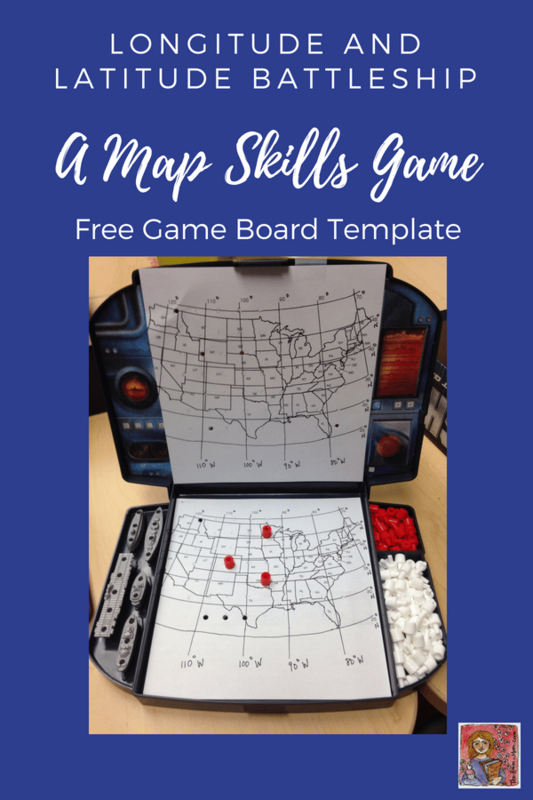 How do you play Map Skills Battleship? Like the real Battleship game, each player has two game boards. One game board has 3 red pegs positioned on the map. The opponent will be trying to guess the location of these 3 pegs by calling out a pair of coordinates. As guesses are made, the player marks guesses with white pegs. The 2nd game board tracks guesses and hits for the opposite player. The first person to get 3 “hits” wins the game. Every time a student makes a guess or looks at their personal game board to mark a guess, they become more confident in finding absolute location. For complete instructions and to download a copy of the United States map for the Battleship game boards, CLICK HERE. Looking for more fun review games for your students? CLICK HERE to grab a freebie Me or I pronoun Bingo game. 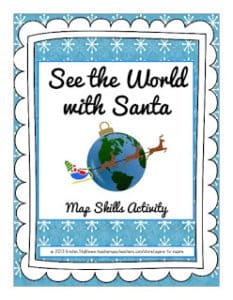 Learn About the World with Flat Stanley! I am an upper elementary language arts and social studies teacher. I am passionate about children's literature and love crafty projects. Visit my teacher store, TheRoomMom.